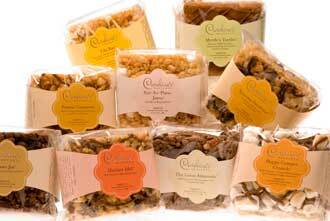 Caroline's Desserts Welcomes you to our Wholesale Website! 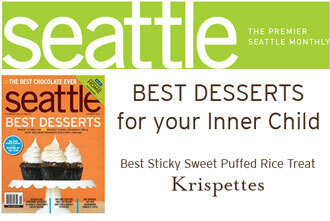 Featuring Krispettes the original artisan rice crispy treat. I am a new wholesale customer. Validated wholesale customers are entitled to receive wholesale pricing. Note: A valid resale certificate and EIN are required to establish a wholesale account. You will receive notification upon account approval. What Ben and Jerry did for ice cream, Krispettes are doing for rice crispy treats. Caroline's Desserts introduces Krispettes, a new, unique line of gourmet artisan desserts. They combine that familiar taste of rice crispy treats you enjoyed as a kid - yet they have an undeniably grown-up flavor. With premium ingredients like European style chocolates, toasted nuts and choice dried fruits, Krispettes will appeal to your customers as both a dessert and a snack product. They come in a variety of flavors to tantalize many tastes. We currently offer twenty, and are always in the kitchen thinking up more! Krispettes come in both individual 3x3 squares, two-bite sized portions, called 'Mmmminis' and 'Double Mmmminis' in select flavors. When your customers are hungry for a gourmet treat, our flagship Krispettes are sure to meet their discerning taste. We also offer artisan twists on tradition with our Shortbread and Decorated sugar cookies. Unique, one of a kind, indulgent desserts. Caroline's Desserts welcomes the opportunity to work with you on private label products. Please contact us at PrivateLabel or 888.84.CAROL for more information. For a limited time, all new customers receive 10% off your first order. Use Code: Sweeter15WCD. Check back for other promotions!